Audra Sullivan is President of Vogue Insurance Agency, LLC. She has been in the Insurance industry since 1993. After working at Blue Cross and Blue Shield of Texas as a Marketing Service Representative, she worked with several hundred brokers as a Broker Sales Executive at BenefitMall. At BenefitMall she was a part of the BenefitMall Elite Sale Team and was awarded the BEST Excellence Award in sales for four consecutive years. As Vice President of Granite Benefits, Inc., she managed the Employee Benefits Department. Audra was born in Waco, Texas and moved to Arlington in 1991. 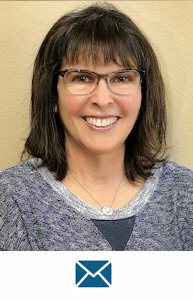 She attended Baylor University and received a Bachelor of Science in Education in 1991 and then Charter Benefit Consultant Designation in 2006. Her SGS, Small Group Specialist as well as her CHRS Certified Health Reform Specialist. As a member and Past President of the Fort Worth Association of Health Underwriters, she has won numerous awards including member of the year in 2003 and Chapter of the Year in 2005 and as Education Chair the Chapter Education Award and the 2011 Robert Olser Education Award from NAHU. She has held several positions in the past on the Board of the Texas Association of Health Underwriters. As an instructor for NAABC and ComedyCE, she has traveled throughout the United States teaching consumers and members of the insurance industry about insurance products and Legislative issues that currently face the market. She is currently the Secretary for TAHU. She has two children Nicklaus, who is in the U.S. Airforce and Jordan who is currently enrolled in college. In her spare time, she enjoys softball, reading, playing golf and spending time with her family. Sandra Gee is the Vice President of Vogue Insurance Agency, LLC. She has over 20+ years of experience in the health care industry Revenue Cycle Management department. She began her career in the Hospital setting but soon transitioned into the Ambulatory Surgery Center (ASC’s) arena in 2004. As Director of Service Delivery, Sandra oversees 40 centers throughout the United States. She is actively involved in the Ambulatory Surgery Center Association (ASCA). She received her Insurance license in March 2018 and is currently a member of the Texas Association of Health Underwriters. 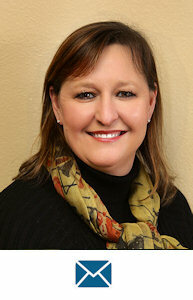 Sandra was born in Waco, Texas and graduated with a Bachelor of Science Degree from Baylor University. She is married to Russell Gee and has 2 daughters, Chandler Gee, a recent Texas A&M University graduate and Cameron Gee, attending the University of Texas @ Austin. 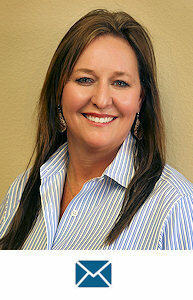 Kim has been in the insurance industry for 19 years. Her career began at State Farm and Nationwide and she moved to Independent Agency in recent years. Kim has held various positions from customer service representative to retention specialist, associate agent, and Senior Account Manager. Kim found my calling when she began working in the Independent Agency world. Insurance is a product that requires explanation and understanding to be sure each individual client obtains what they need. As a Senior Account Manager at Vogue Insurance Agency she strives to educate both her prospects and clients while finding the best insurance products and coverage for all of their insurance needs. 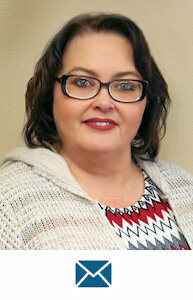 Ellen Sherwin is a Sr. Account Manager at Vogue Insurance Agency. She has been in the insurance industry for over 35 years handling Commercial Lines with Customer Service being key. She started in the business as a CSR/Office Manager and moved up to a Sr. Account Manager handling all types of accounts small to large. She has her Associates in Account Management (AIAM) designation. Ellen was born and raised in New York, moved to S. Florida where she managed two Independent Insurance Agencies handling commercial accounts and then worked for the 4th largest broker in the world working on Public Entity business. She then met her husband long distance and has been married and in Texas for 5½ years. Ellen is a proud grandma of two and enjoys traveling with her husband on their off time. Ellen handles the Commercial renewals at Vogue Insurance Agency and strives to make sure they receive the utmost in customer service as well as building client relationships. Beth Christensen began her journey in the insurance industry in 1999, working for a national brokerage firm with emphasis on group health and ancillary products. In 2003, Beth transferred to the Medicare Market where she has been able to pursue her lifelong passion of serving the senior population and helping them with what matters most – their health. In 2008 Beth was given the opportunity to utilize her strengths to further her career with Medicare. 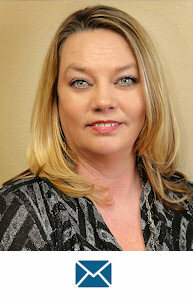 She joined Copeland Insurance Group as the Director of Sales and Marketing for the Fort Worth area. This opportunity has allowed her to make a huge impact within the industry. She recruits and trains the best agents on Medicare products and provides the tools needed to build relationships with their clients, that in return the client receives the best customer service and plan options that best fits their needs. Beth now helps grow agencies, helping them recruit and train agents to present both ACA and Medicare plans. Her Passion doesn’t stop there! She has been a proud member of Fort Worth Association of Health Underwriters (FWAHU) since 2009 serving on the board at various positions. Her passion to make a difference lead her to Presidency of FWAHU in 2013 where she met with Legislators as an advocate for Agents and their clients’ healthcare needs. Beth continues to serve the senior market with passion and gratitude. She is dedicated and committed to her team of agents,FWAHU and her community. Beth volunteers at Senior Centers and speaks to various groups to educate them on their healthcare options and provides resources to financial difficulties. Beth is happily married with 2 sons and 3 amazing grandbabies. She enjoys volunteering in her community and spending time with her family and friends. 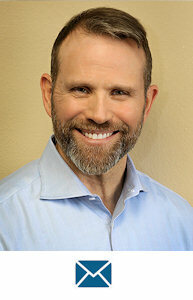 Patrick has 30 years of Sales experience with 22 years in the insurance industry. He is a strategic and visionary leader with a proven track record of success. 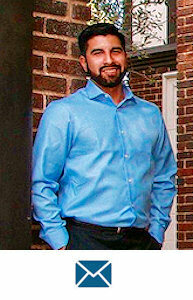 He is focused and driven to provide his clients the most cost effective and valuable benefit package in the marketplace. Patrick is a proactive leader and innovative problem solver with peerless customer service skills. He is a high influence communicator, skilled at cultivating, building, and maintaining relationships with key accounts. Originally from Waco, Texas, Mark Espinoza is a Life and Health and Property and Casualty Insurance Agent specializing in commercial policies In Arlington, Texas. 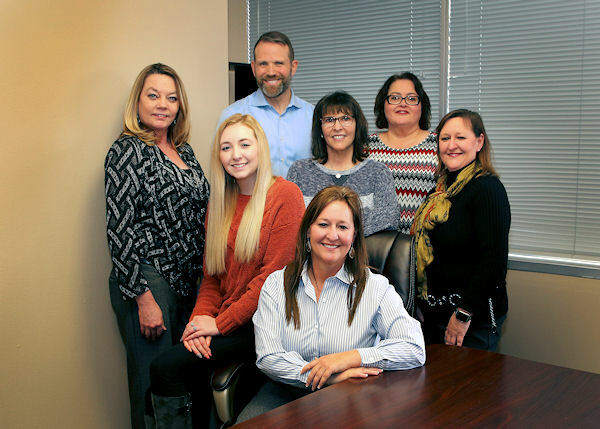 Wanting to follow in his family’s footsteps and expand his knowledge of insurance to expand further in Property and Casualty insurance he chose, family owned and operated Vogue Insurance Agency. Impressed with the tradition of quality of service, commitment to community service, and excellent customer service, Mark is proud to be a member of Vogue Insurance Agency and looks forward to building life long relationship with his clients. Mark has girlfriend Allyson who is a behavioral therapist that works with kids with Autism. Mark also has 4 beautiful nieces that keep him running around and happy. Outdoors is his passion and he loves to fish, hunt at the family property during hunting season. 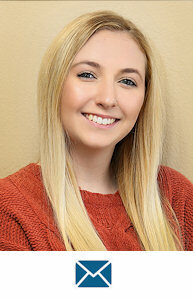 Makayla is the Administrative Assistant at Vogue Insurance Agency, LLC. She has been with the company since February of 2019 and came in knowing little to nothing about the Insurance industry, but is learning fast. After graduating high school she worked at many service jobs, such as cashiering and waitressing, but after growing tired of that she decided to try something more practical and mature, and joined the company. Makayla was born in Wichita Falls, Texas but spent most her life in Santa Cruz, California. After graduating from Oasis High School in 2018 with a 4.0 GPA and having made honor roll every year since the seventh grade, she moved to Arlington, Texas to be closer to her family in Wichita Falls. She is a loving dog mom who plans to attend college in the fall of 2019 in the hopes of studying animal behavior and business. In her spare time, Makayla enjoys the simpler things in life, such as playing with her dog, spending time with loved ones, listening to music, and singing. She aspires to one day be a performer but for now she is focusing on getting her degree and assisting the company with any administrative tasks they may need. She is the first smiling face you see when you walk through the doors and is always happy to help direct you to whomever you may need or wish to speak to.